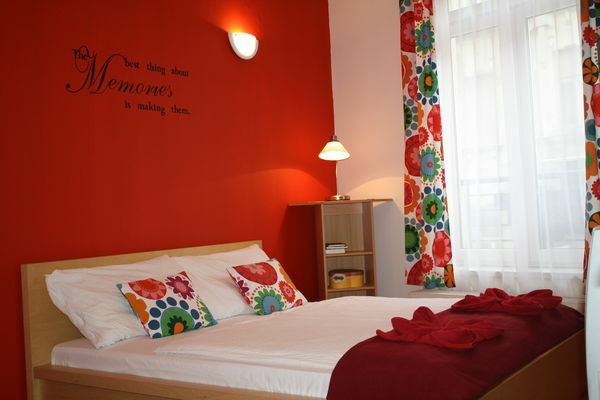 Location: Elite Apartments are comfortable, spacious apartments in the centre for up to 7 people. 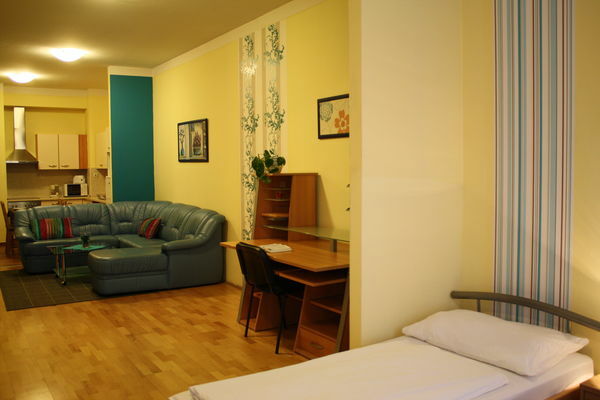 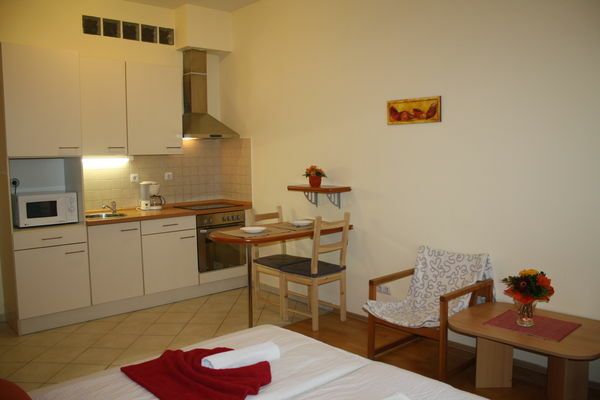 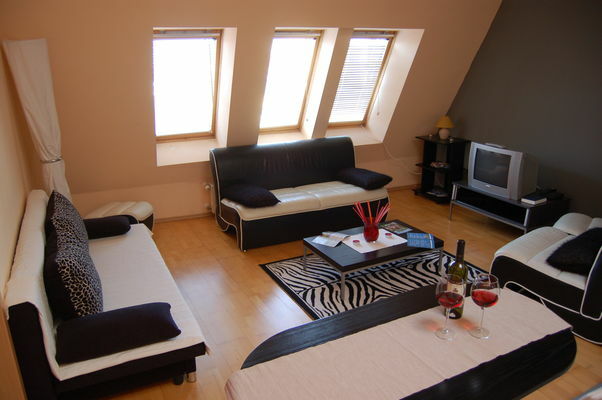 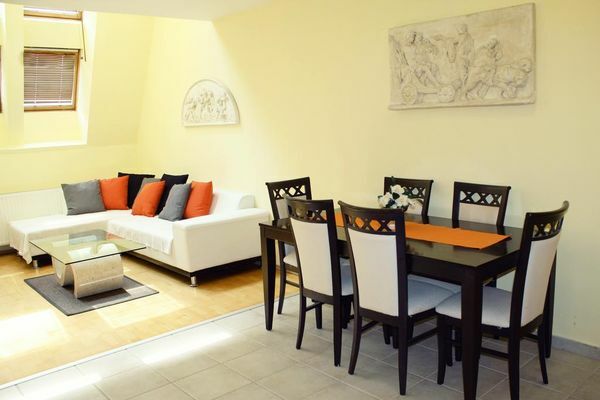 The apartments and studios are all situated in a new building, right in downtown Budapest, within walking distance to main tourist attractions, and from Vaci utca, the pedestrian shopping street, as well as clubs and shops. 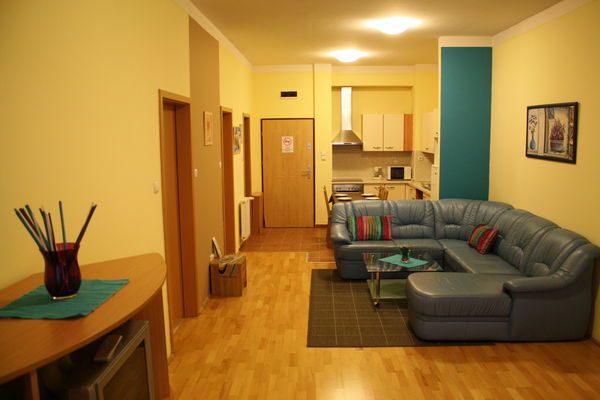 The mian metro station (Deák square) is only 2 minutes far. 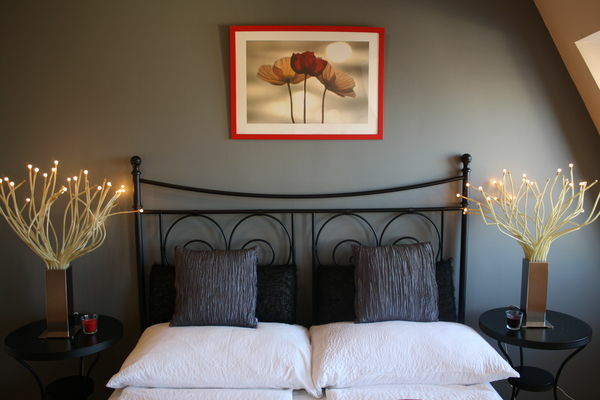 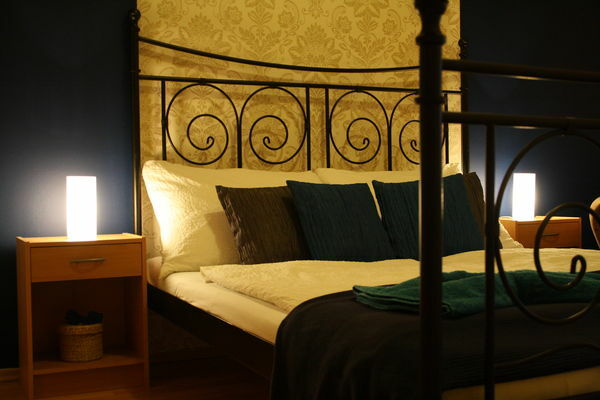 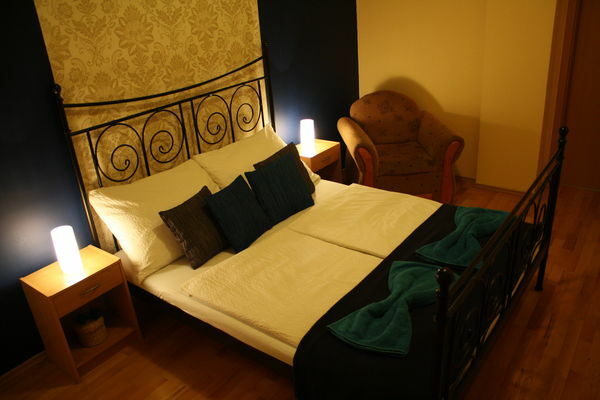 Elite Rooms: The 28 sqm rooms include a double bed for max. 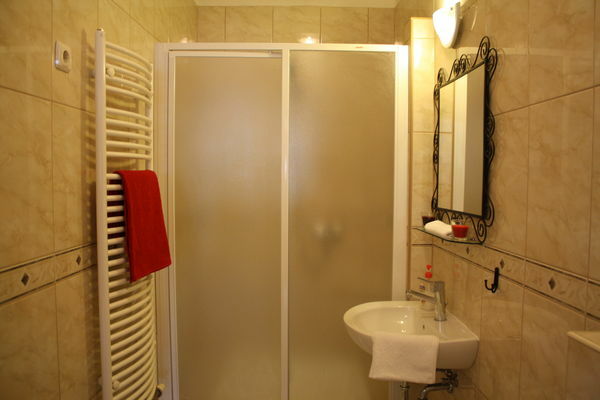 2 persons. 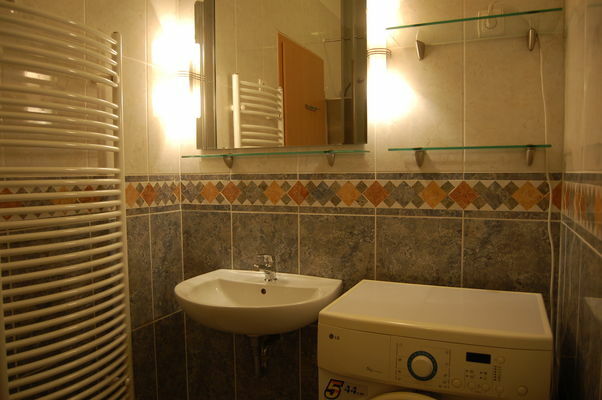 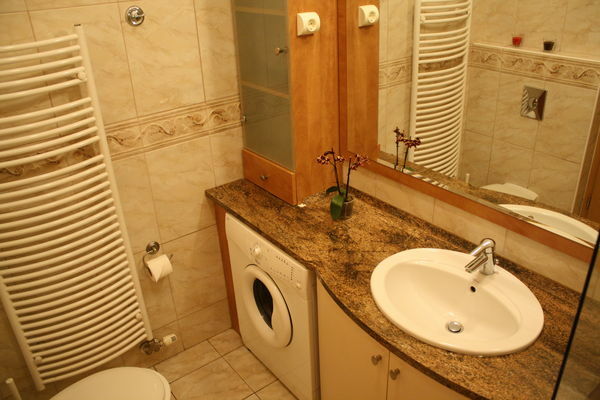 The bathroom includes bath tub, washing machine, hairdryer and towels. 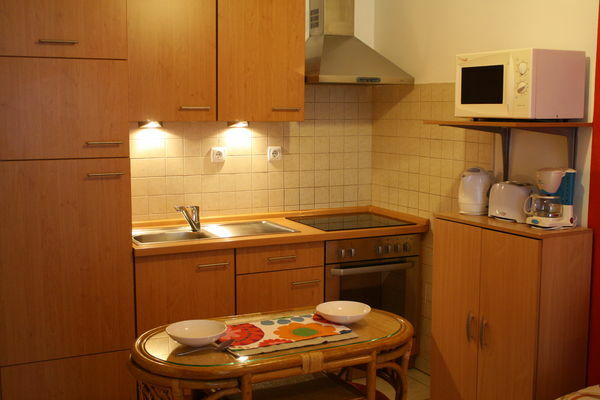 4 rooms together have one is fully equipped kitchen. 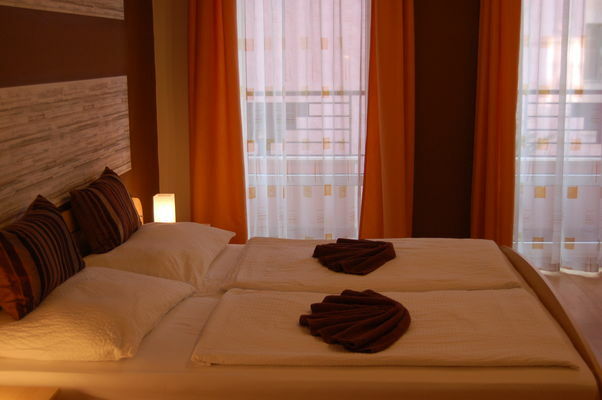 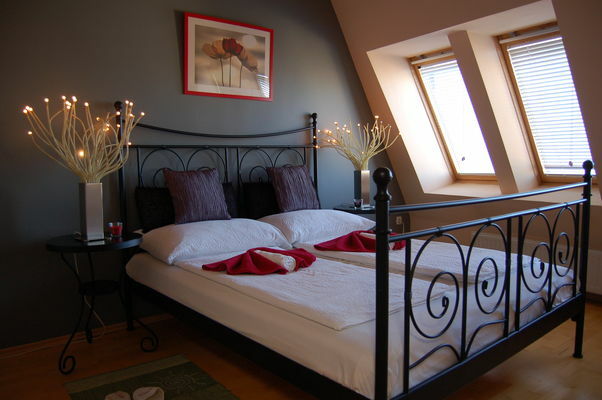 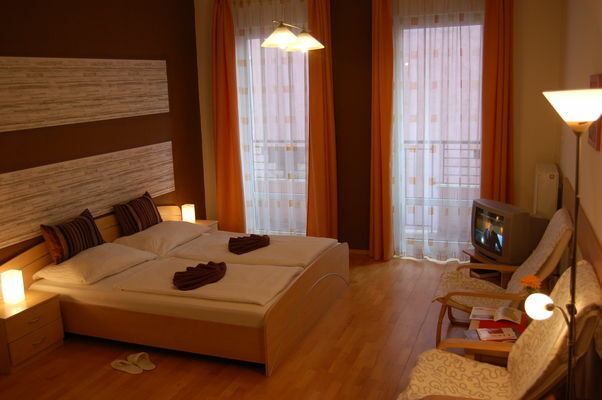 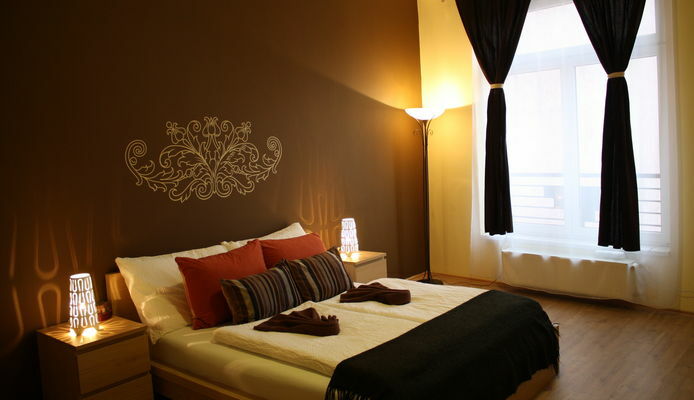 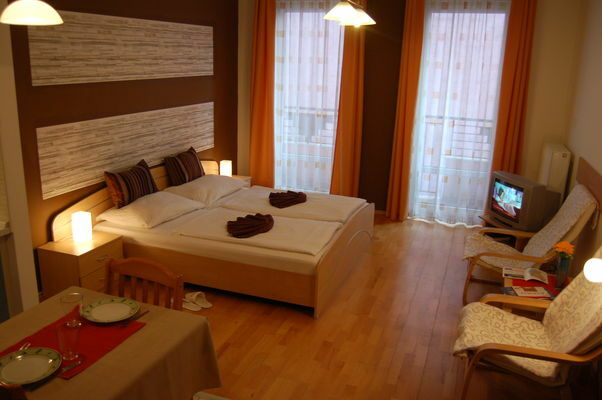 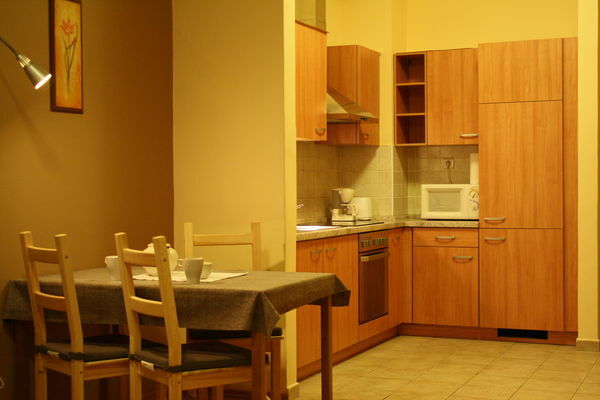 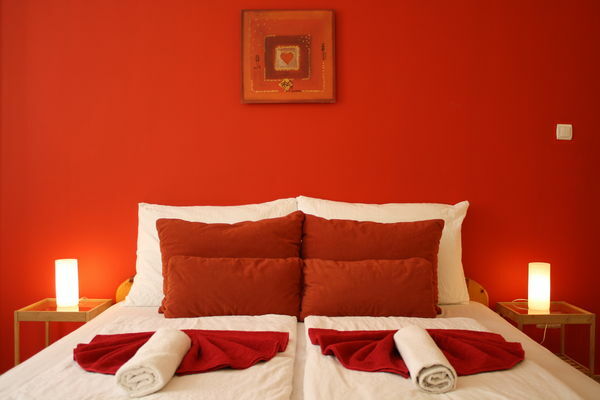 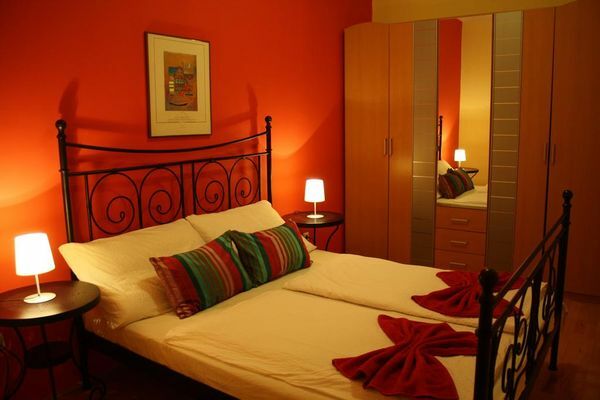 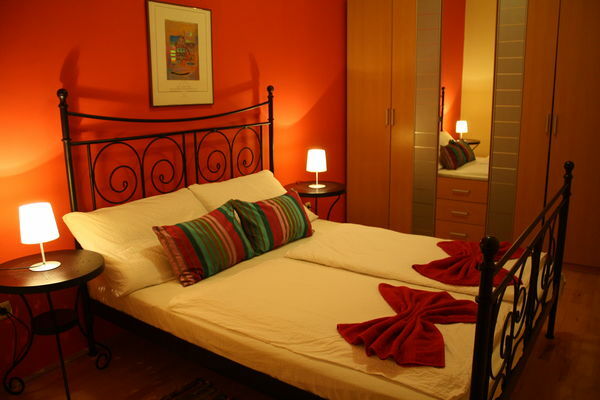 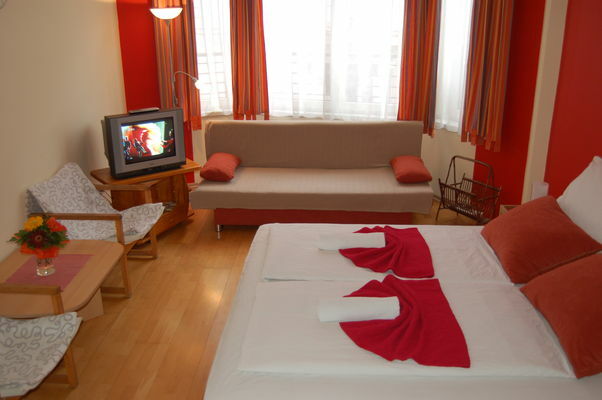 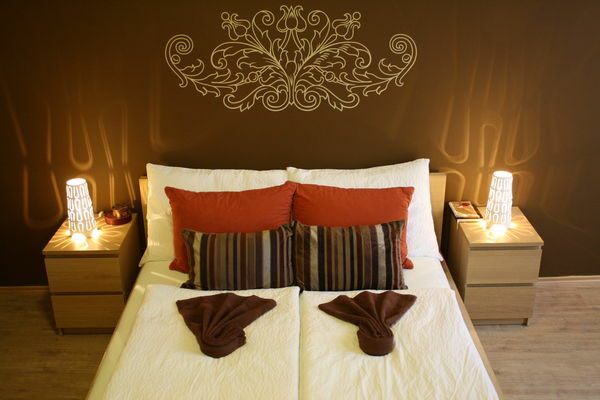 Elite Studios: The 32 sqm studios include a double bed and a sofa or a single bed, for max. 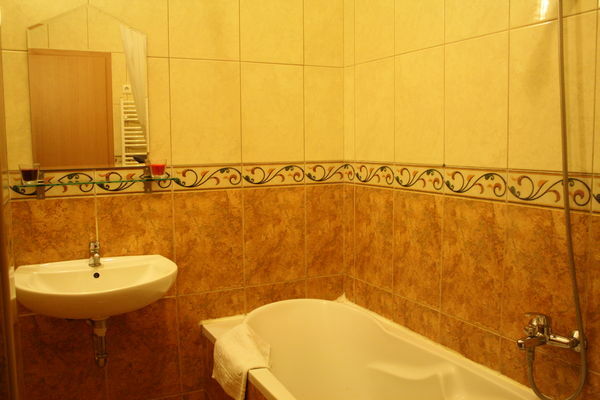 4 persons. 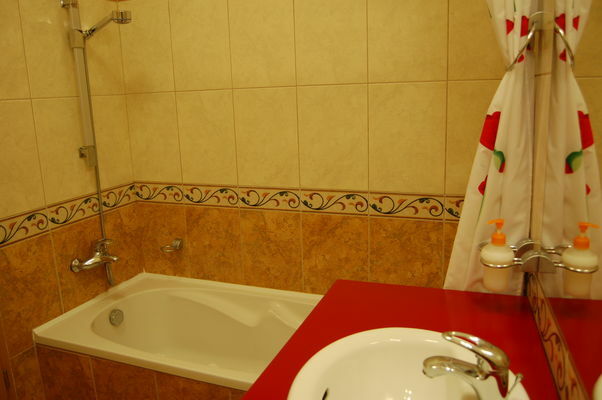 The kitchen is fully equipped, The bathroom includes bath tub, washing machine, hairdryer and towels. 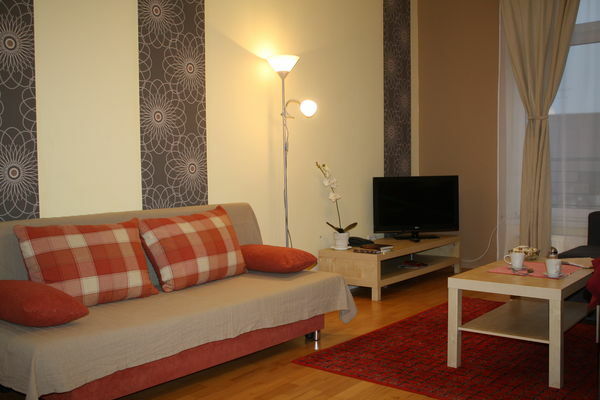 One-Bedroom Apartments: These apartments are ca. 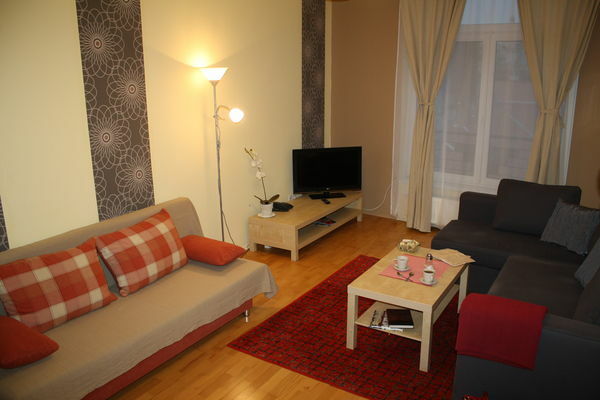 44 – 48 sqm, consist of one bedroom with a king-size bed and one living room with modern fully fitted open plan kitchenette. 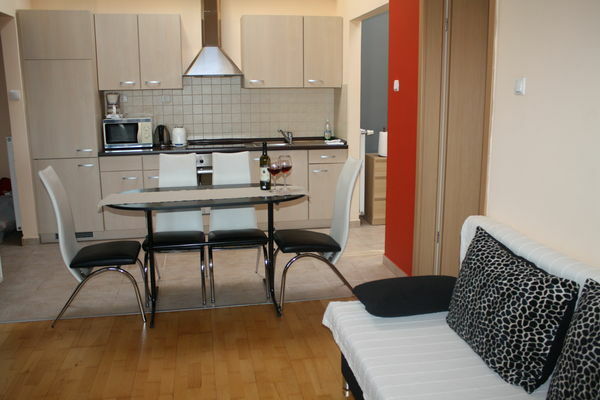 These apartments can accommodate maximum 7 guests. 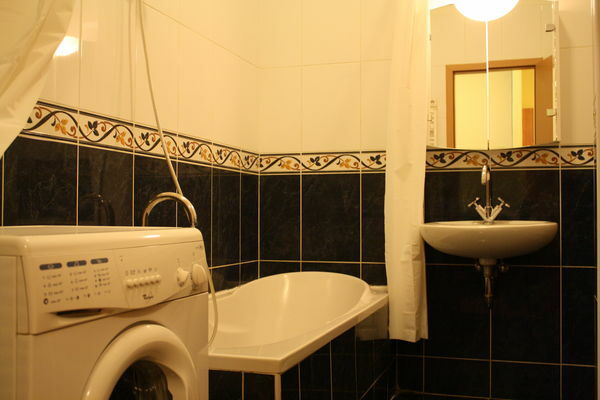 The bathroom includes bath tub, washing machine, hairdryer and towels. 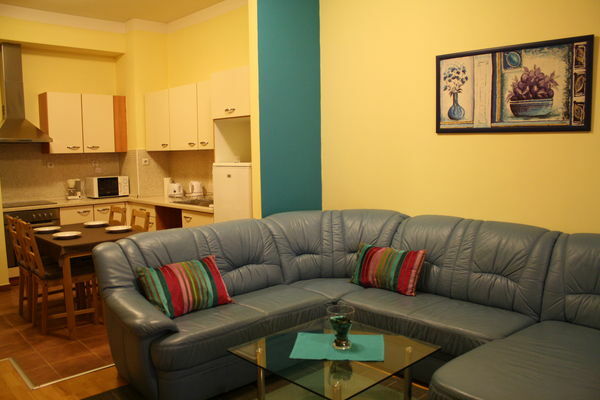 Services: garden, non smoking apartments upon request, wheelchair accessible apartments, heating, air-conditioning, babycot, extra bed, elevator, luggage storage, designated smoking area. 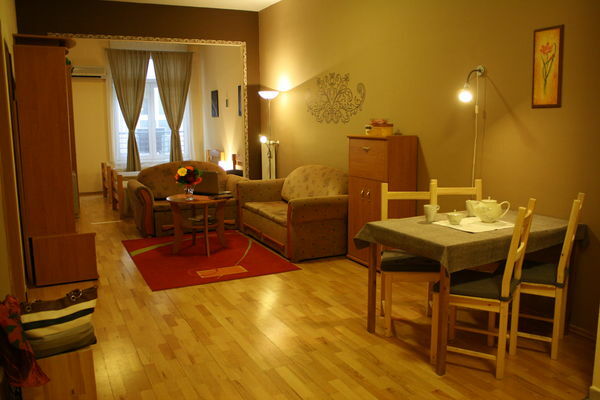 Wi-fi is available and it is free of charge.